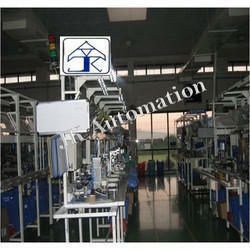 we are manufacture of different type ofAssembly lines. 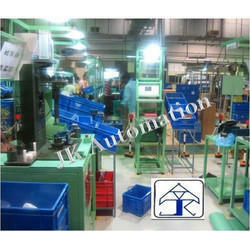 JK Automation offer design and manufacturing of Assembly Line Setup as per customer requirements for any products. The system will be take out high productivity with all quality parameters.This line is made for automotive lock assembly line.we also provide end to end solution for any automotive components right from child part to final testing and validation. 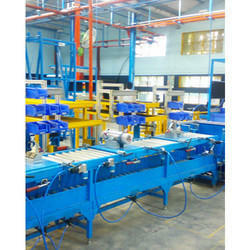 J k Automation offers Automatic Clutch Assembly Line assembling SPMs with test rigs. 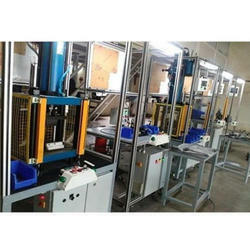 This line is offer high productivity and low cost machine which can deliver high-quality production of brake and clutch assemblies with all test parameters for various four wheeler pedal control system.This line is recently installed in Autoline India Pune.The customer is very satisfied with its performance. Hi-tech breake pedal assembly line is installed in pune for fiat india compass jeep.high productive and quality assured Lean assembly line. This is a assembly station used to assemble the 1st and 2nd row seats in automobiles. The complete assembly with its checking can be done.This assembly line is enabled with PLC and HMI to provide a perfect seat asssembly.this station is suitable for any veichle seats. 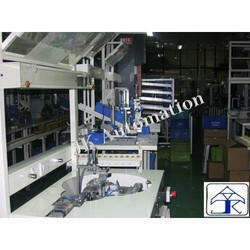 It is suitable for Semi-Automatic Lock Assembly Line. This assembly line will reduce the cost and ensures quality output and high productivity.This is suitable for any assembly line. We are one of the leading manufacturer and supplier of Domestic Valve Assembly And Testing Line. We obligated to meet the quality standards as per the customer demand. 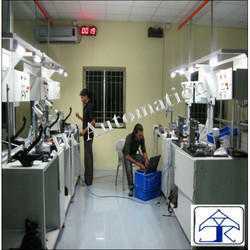 JK automation is offer all types of Brake And Clutch Assembly Line Setup fulfilled by our system. This assembly set-up offer all types of clutch and brake assembly line for automotive industries. We specially design and achieves productivity and quality requirements of any type of brake padel, clutch and accelerator assembly line requirement for automotive products. We also offer parking lever assembly and testing equipments for automotive vehicles. 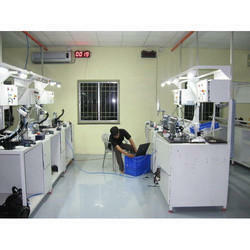 This is suitable for all types of Brake and Clutch Pedal Assembly Line for automotive pedal assembly. This can produce 400 job per 7 hrs time. This also provides high volume and production of jobs. This line is installed in Autoline industries. We manufacture precisely engineered point drive Cluster Assembly Line. These are special purpose machines and are found widely applicable in automotive industries and analog meter assembling industries, point drive assembly industries. We offer customized designs, size and shapes of these machines as per our client's requirements. 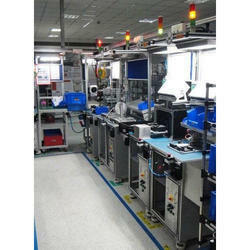 We are the leading manufacturer of Pedal Assembly Line for automative vehicles. Our pedal assembly lines are high productive and mass production pedal assembly lines.Our pedal assembly is suitable for brake and clutch assembly.Our pedal assembly line is suitable for clutch assembly.Our pedal assembly lines are suitable for brake lines.Our pedal lines are suitable for high resistive. 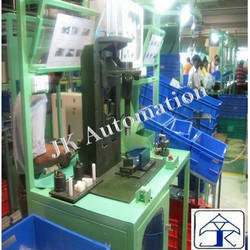 J k Automation offers Pedal Assembly Line Setup with SPMs and validation Rigs. to validate the jobes after manufacturing This line is offer high productivity and low cost machine which can deliver high-quality production of brake ,pedal and clutch assemblies with all test parameters for various four wheeler pedal control system.This is a semi-automatic assembly Line which is used for automotive industries.This machine cover all quality parameters and user front operations.This line is recently installed in Pune and we also offer any kinds of assembly lines for various product assemblies from child part to complete assembly with testing and validations as per product requirements. Looking for Assembly Lines ?